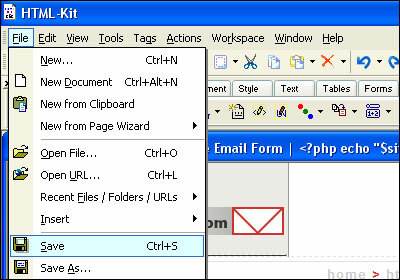 The steps for adding an email form to an HTML-Kit website are outlined below. Please note that this tutorial was created using HTML-Kit Build 292. The procedure may vary slightly if you are using a different version. 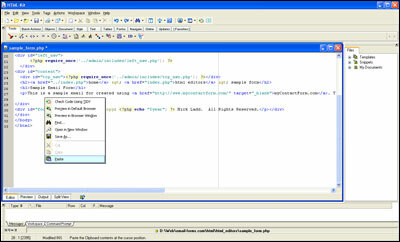 To get started, visit myContactForm.com to design and generate your form HTML code using their free form creation software. This process is desribed in our tutorial here. Start HTML-Kit as you would normally do. 4. Add the Form HTML to Your File. 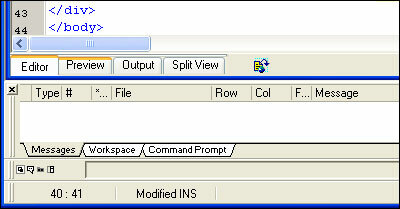 a. Click Editor tab to make sure you are in Editor mode. 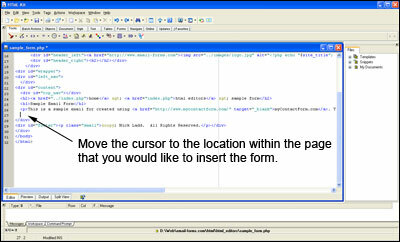 b. Click the spot within the HTML code where you would like to insert your form. d. Click the Preview tab and make sure the form looks correct. 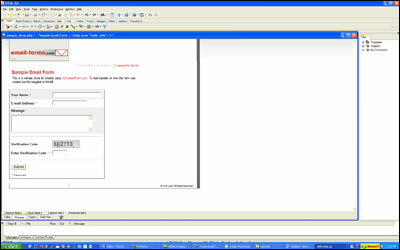 We've created a demonstration form using HTML-Kit which can be seen here.